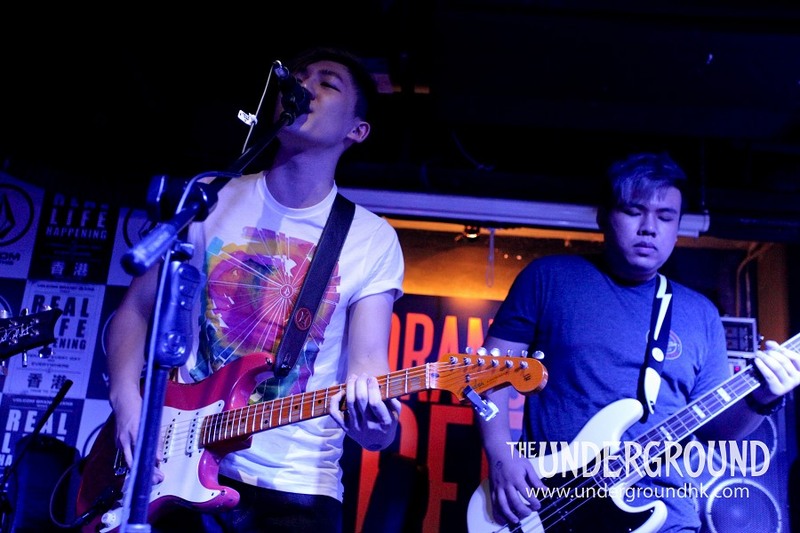 The winners of the 2014 Asian Beat competition open up the night with a 20-minute set of alt-rock goodness. Opening with a nice powerful start in the song 想 Zpecial gets the crowd in the mood for a rock-filled night, featuring sparse but rich lead guitar tones, driving beats, and a focused attitude on stage. Encountering some technical difficulties after breaking a string, the lead singer got the atmosphere back up by busting out a rock melody featuring well known songs such as Avril Lavigne’s ‘When You’re Gone’, Oasis’ ‘Don’t Look Back In Anger’, ‘Time Is Running Out’ by Muse and finishing off with the crowd singing along to Bon Jovi’s ‘It’s My Life’. The band got a few heads nodding along to the songs 吞驚世的浪 and 切膚之痛, with tight timing and positive energy the band finished off strong with 塵埃, leaving the crowd in an upbeat mood and ready for the next band.